Hi and Welcome. 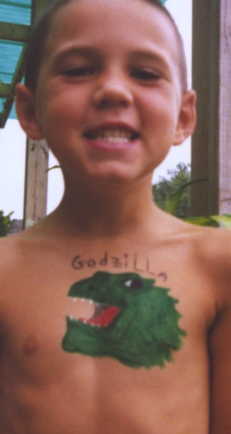 Face painting is quite unique. 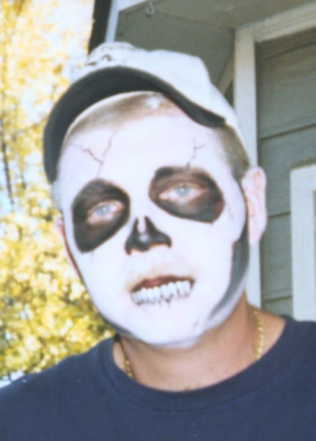 This small site gives examples of faces painted for Halloween. Birthday parties can be really fun! My son loves the movie Creature From The Black Lagoon. 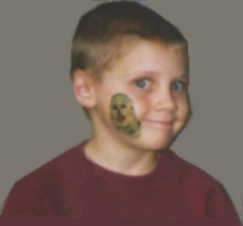 Simple face painting artwork can be done from a clip art book. Your child chooses which picture he or she wants. Then paint it! 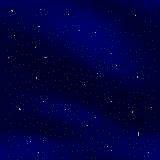 To find clipart for your own painting projects simply go to www.google.com. Click on the tab marked "Images". Then in the supplied box type in the image you want. 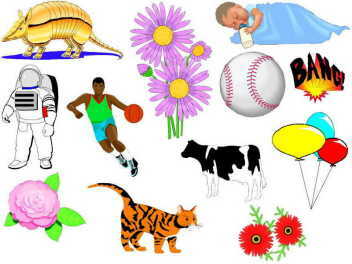 For example, if you want a clipart picture of a pumpkin type in "pumpkin, clipart". The website will give you a variety of pictures to print and/or choose from. 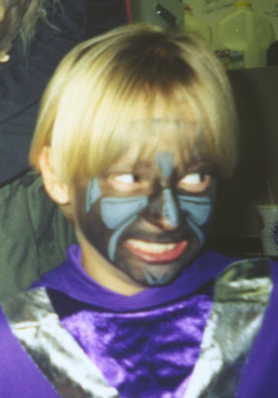 This child wanted to be a masked guy, but didn't want to wear a mask. 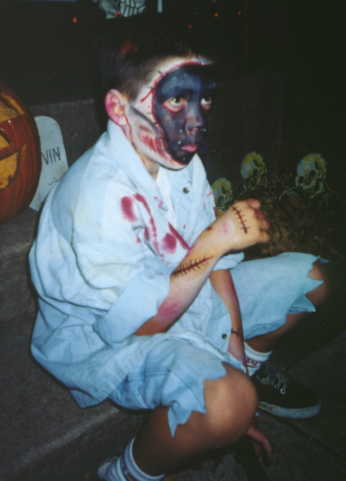 I painted a mask on his face along with wounds...as he asked for. 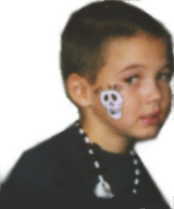 I have a book of clip art and whole face painting pictures that each person or child can choose from. 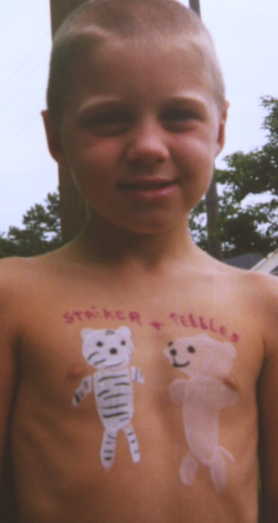 If you are thinking of doing face painting this is a good idea. It keeps you from having to create individual pictures to paint. And as you do the pictures, they become easy with a picture to look at for reference. If you are interested, please contact me at the email below.